Not too long ago, I was at Lake Como, Italy. The weather was hot and the nature breathtaking! On a stroll through the village, I came across this tabby feline having a little nap in the shade. As soon as I grabbed my cellphone, the cat woke up. 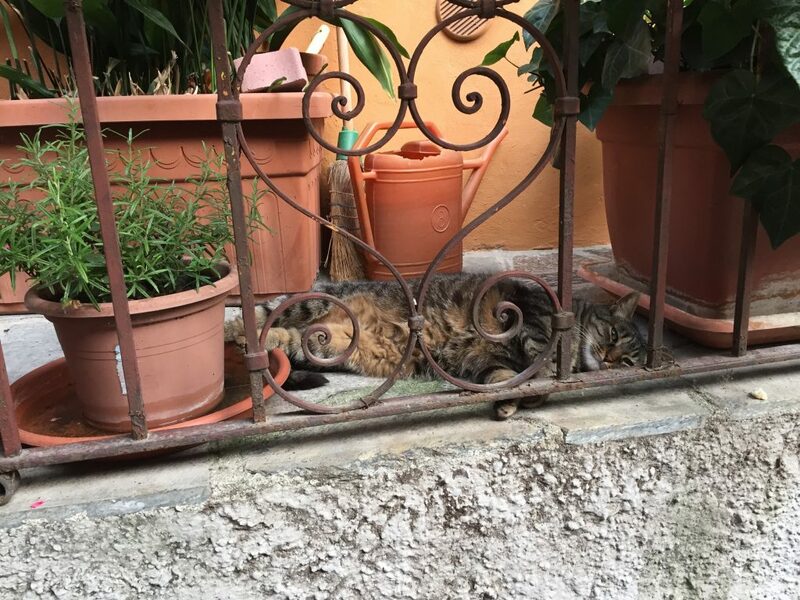 She smiled at me but, as it was pretty hot outside, the friendly feline pretty much immediately went back to sleep. She was right: it was time for ‘il dolce far niente’! How do you and your cat cope with the hot summer weather?